March 28, 2012 December 11, 2014 / Julie Brook, Esq. After some hesitation, a federal court has given the IRS the green light to obtain property tax information on real property transfers between nonspouse related parties. So, all those who skipped the required gift tax return when they transferred property to a child or grandchild may want to rethink that decision. Last year, the U.S. District Court for the Eastern District of California denied the IRS’s ex parte petition for leave to serve a “John Doe” summons on the State Board of Equalization (BOE) in an effort to get at information on real property transfers from parents to children or from grandparents to grandchildren that were made for little or no consideration from January 1, 2005 through December 31, 2010. In re Tax Liabilities of John Does (ED Cal 2011) 2011-1 USTC ¶50,421, 107 AFTR2d 2318, reported in 32 CEB Est Plan Rep 156 (June 2011). This data is compiled by the BOE from reassessment exclusion forms filed with county assessor’s offices. The IRS claimed that an estimated 50 to 90 percent of the individuals in this class didn’t file Form 709 to report potentially taxable gifts. In denying the IRS this information, the court noted that the Treasury Secretary or its delegate can summon the person liable for tax “or any other person” for the purpose of making a return or determining tax liability. IRC §§7602(a), 7701(a)(11). The court wanted to know why the information could not be obtained directly from the counties. The court also expressed “serious concerns” about the government seeking to issue a John Doe summons on a state, asking whether a state is a “person” and raising questions of sovereign immunity and the need to exhaust administrative and state court remedies before seeking relief in federal court. California’s BOE not only is obligated to collect the needed documents, the BOE is the only agency that will guarantee to have each and every property transaction for the time period sought, and in the format needed, ensuring accuracy and efficiency for the IRS investigation. Donors and their advisors who failed to report gifts as required in those years may want to reconsider. There’s no penalty for late filing under IRC §6651 if no tax is owed on the gift, which will generally be the case when lifetime gifts are less than $1 million. Filing a late return will also start the clock running on the limitations period for revaluation of the gift. Note that the BOE may soon have additional information on entity transfers. Under recently amended statutes, legal entities are now required to file a change in ownership statement within 90 days of the date of a change in ownership or change in control of the entity. Rev & T C §§480.1, 480.2, 482(b). 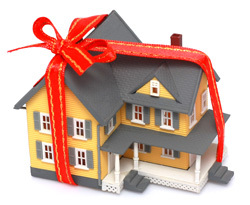 Want more information and discussion on real property and gift taxes? 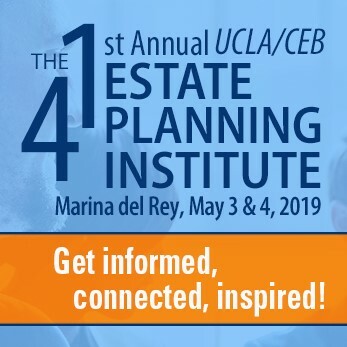 Turn to CEB’s California Estate Planning, chapters 10 and 15. Also check out chapter 8 on noncharitable lifetime gifts. ← In the Divorce Wars, Who Pays the Attorney Fees? Good summary, Julie. Well done and very timely advice.